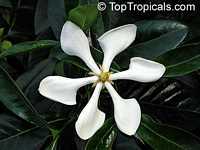 Very unique plant. 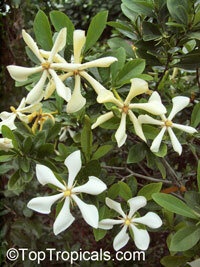 Big flowers up to 3" in diameter, with a strong sweet scent. 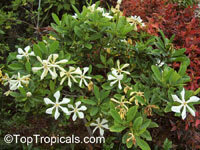 Medium size shrub, perfect for container. Leaves are wide and glossy. 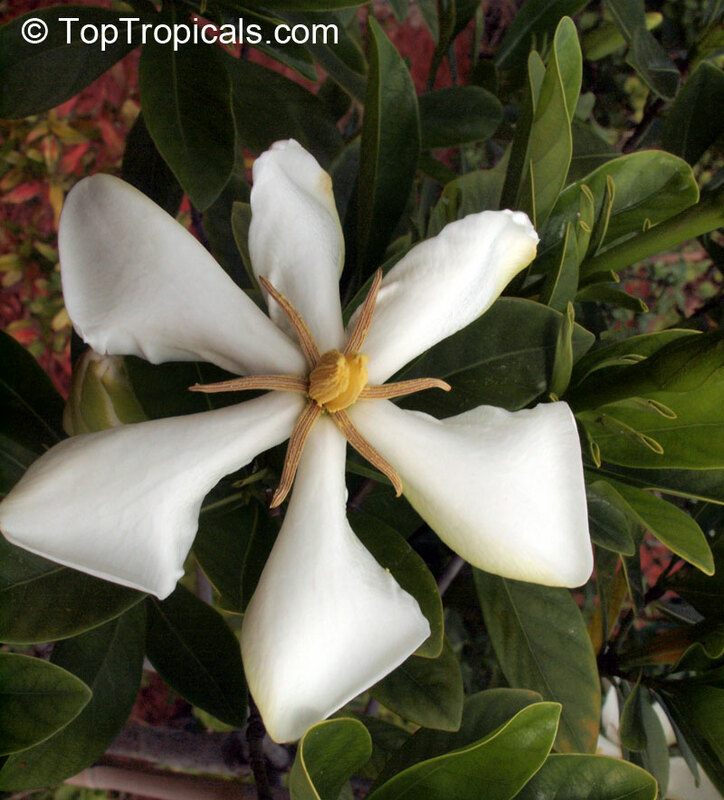 Fast-growing. 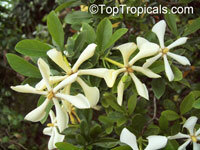 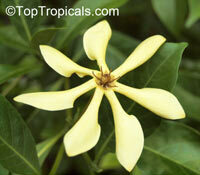 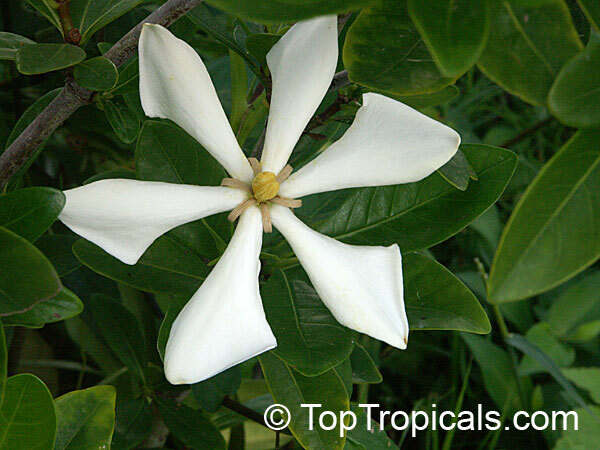 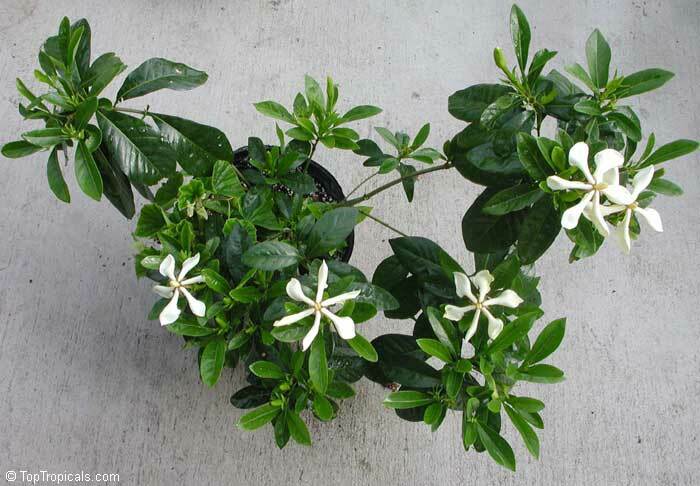 This gardenia is one of the easiest in culture. 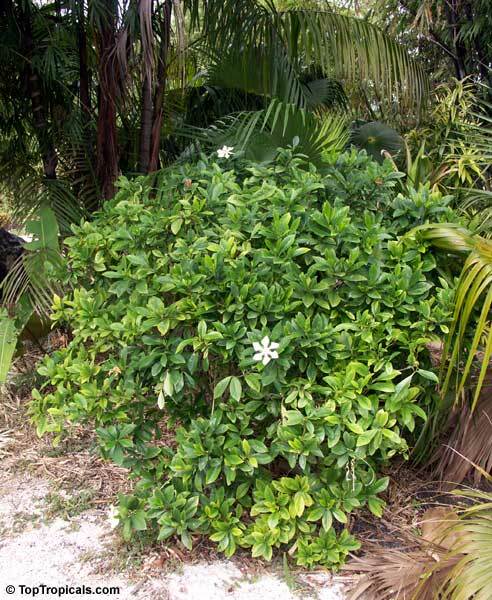 Forms nice bushy specimen without additional trimming. 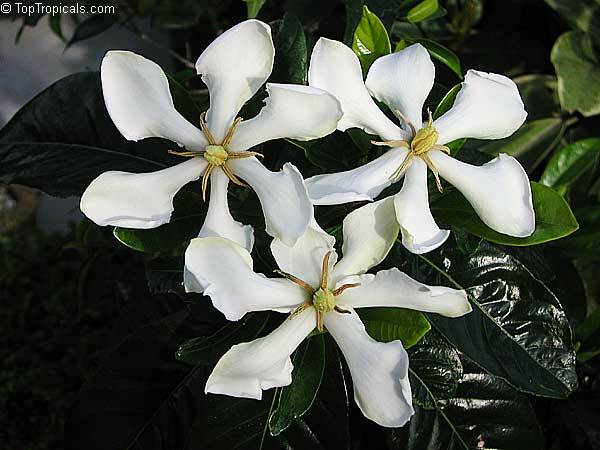 Unlike most true gardenias, tolerates slight over-watering and drought. 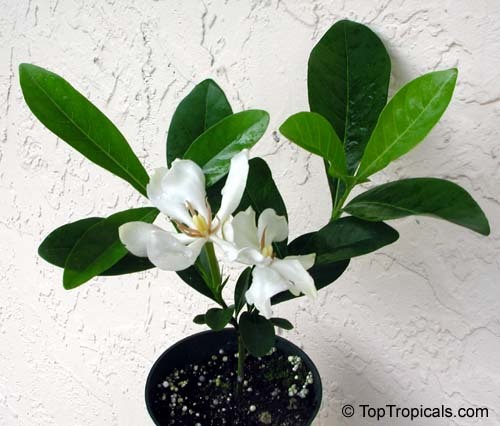 The best choice for beginner. 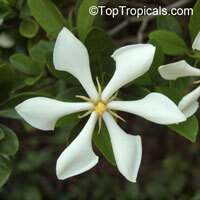 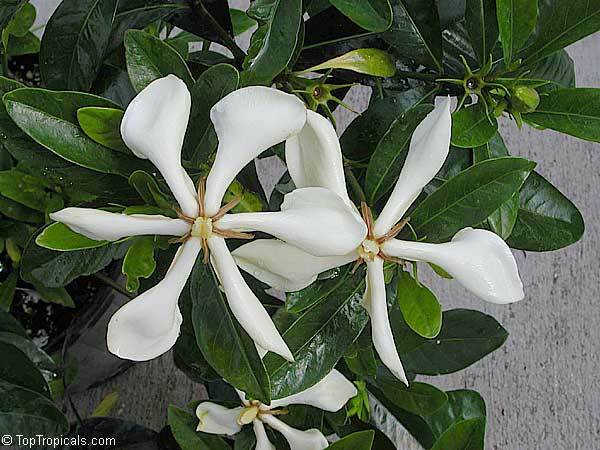 This pretty plant has been called "gardenia" for long time. 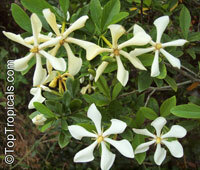 However, analysis shows that it is a horticultural form of Kailarsenia. 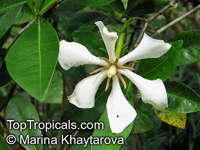 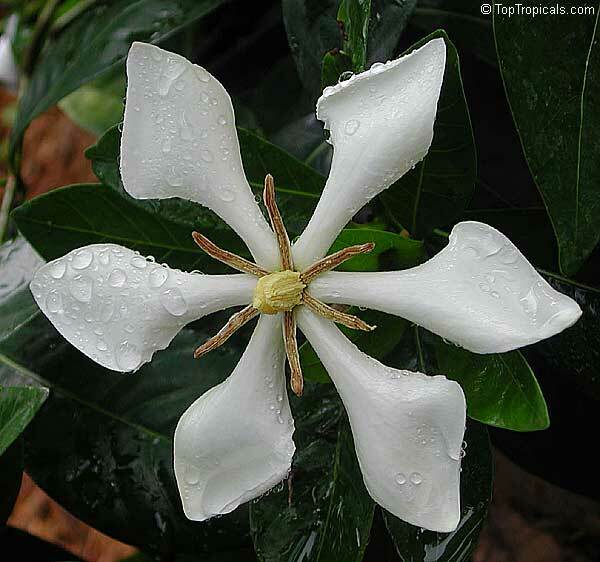 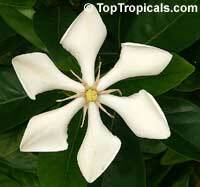 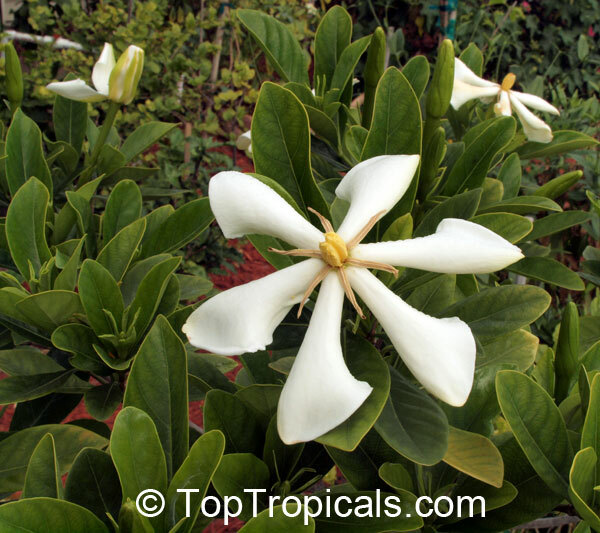 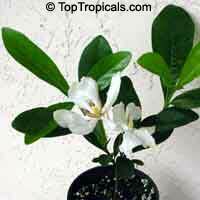 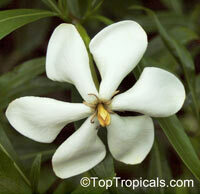 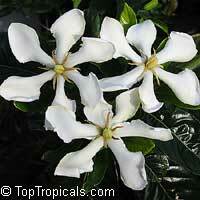 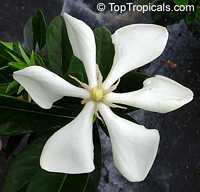 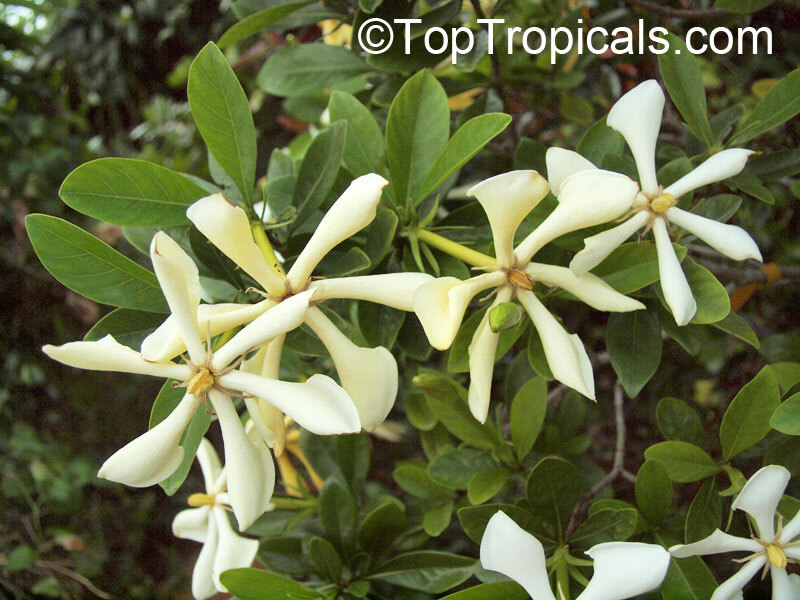 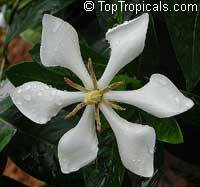 In fact, taxonomically Gardenia vietnamensis is not a valid species. 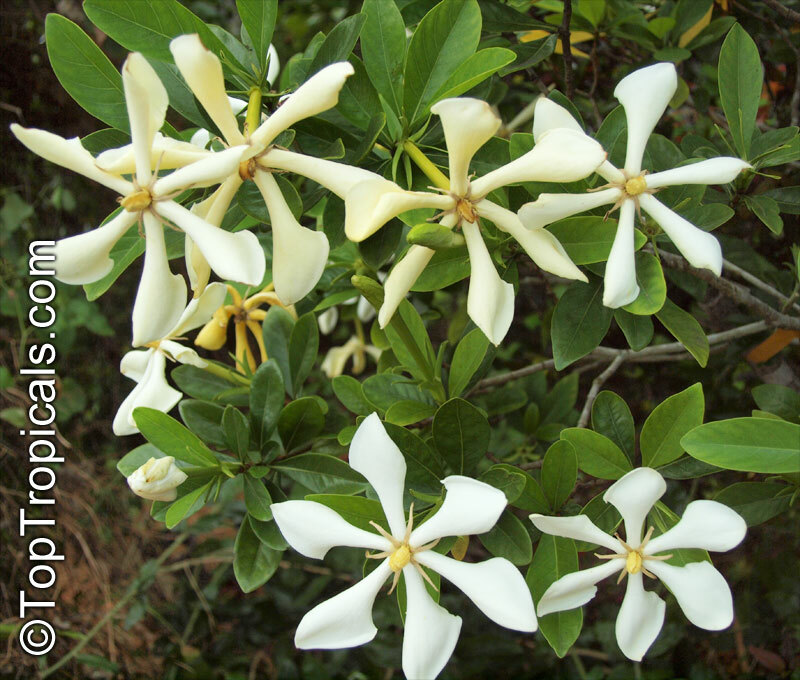 In physical comparison of flowers from this plant and Kailarsenia lineata, the differences are miniscule except the broader leaves on the "k. vietnamensis". 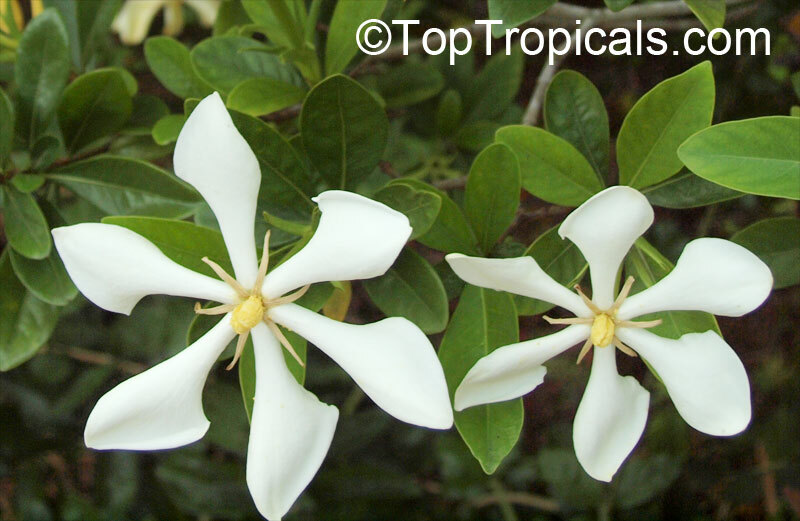 Rubiaceae specialist Christian Puff, as well as taxonomist John Mood confirm that they are the same plant florally. 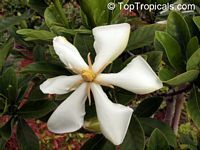 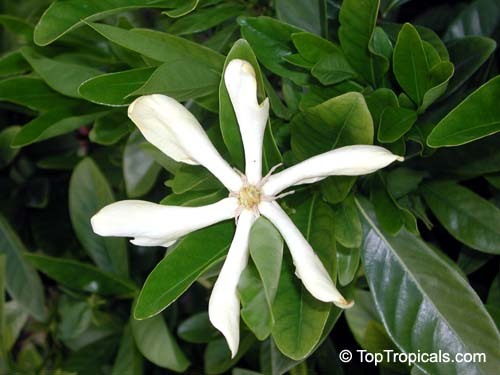 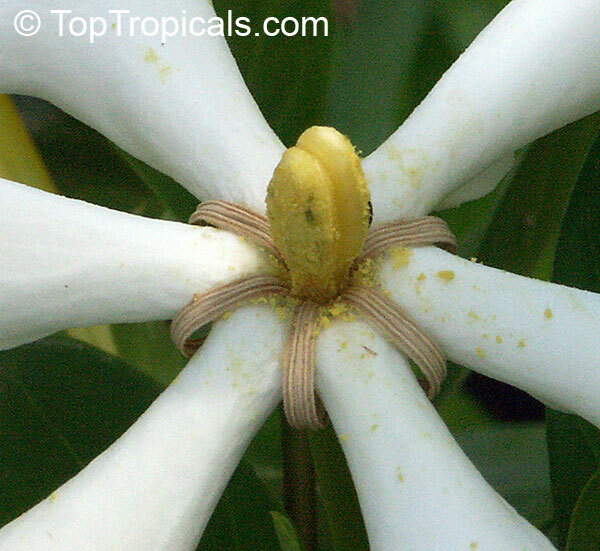 Gardenias do not have a seed capsule with distinct ridges on the fruit, and both plants produce seed capsules with ridges. Very rare variety of Gardenia. 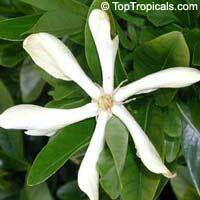 Big flowers up to 3" in diameter, with a strong sweet scent. 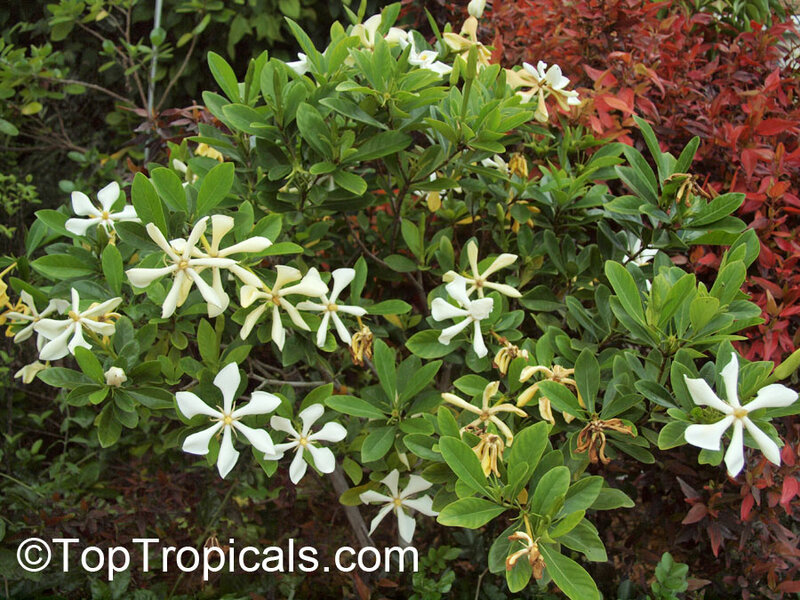 Medium size shrub, perfect for container. 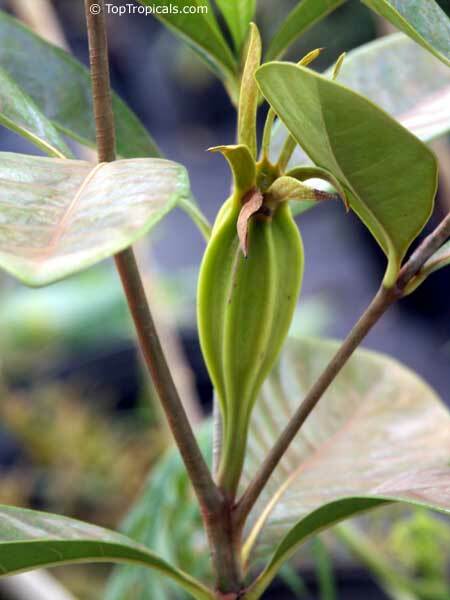 Leaves are wide and glossy. 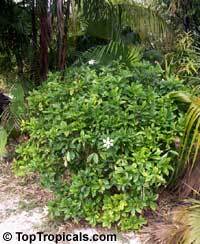 Fast-growing. 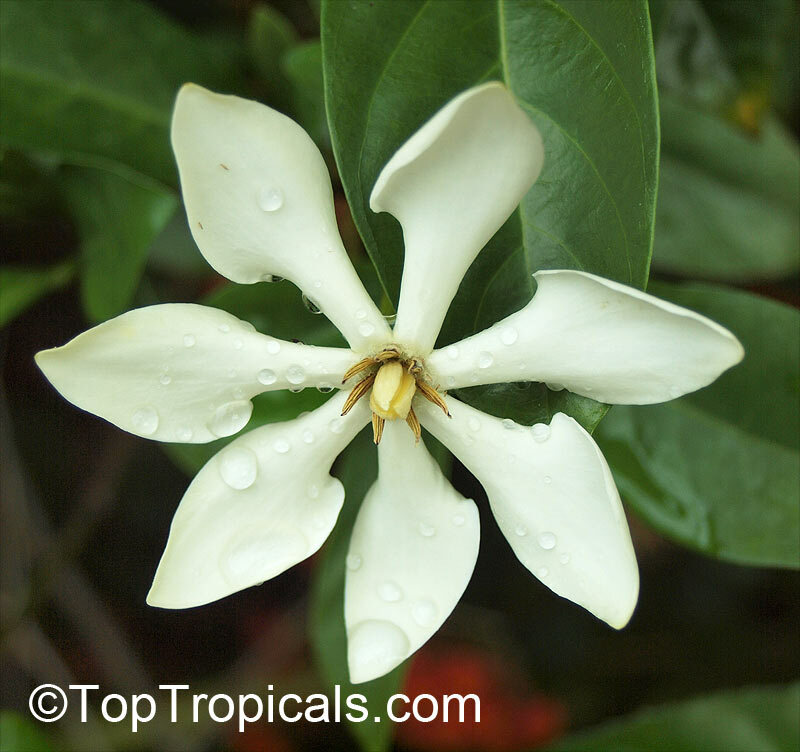 This gardenia is one of the easiest in culture.